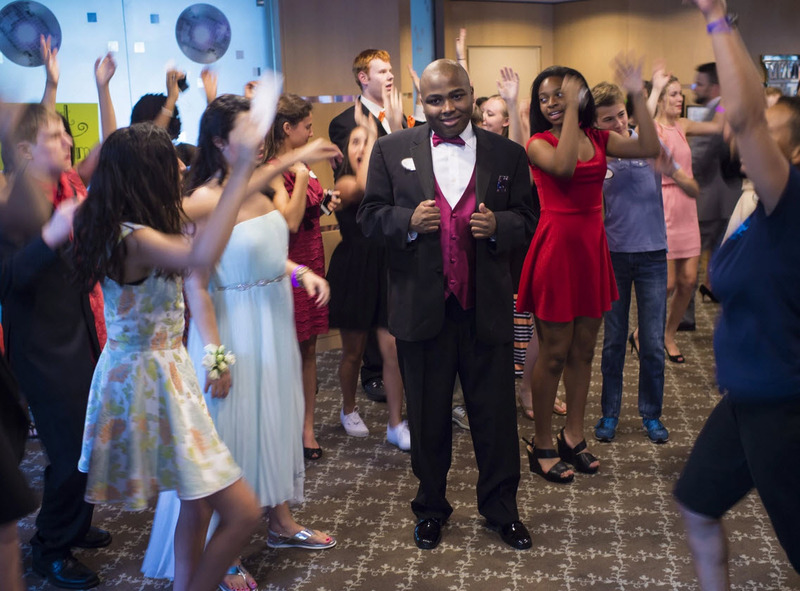 Two teen girls had the same great idea: We want our siblings with autism to enjoy a special prom night! According to a story in the Washington Post, the girls—Frankie Galli, 14, and Lauren Etherton, 17—worked with the administrators of Kennedy Krieger High School, in Rockville, Md., to make that idea a reality. Both of their older siblings attend the school for kids with developmental disabilities. Gali and Etherton enlisted the help of their classmates to raise money, make videos on how to dance, decorate and help the attendees get dressed up. Each volunteer also buddied up with a Kennedy Krieger student during the event to make sure he or she had the opportunity to dance, get food or take silly pictures in the photo booth. Leading up to the big night, Kennedy Krieger staff worked prom etiquette and behavior into lessons. Maria Papageorgiou, MS, CC-SLP, says that preparing for prom inspired her students to really improve their social skills.